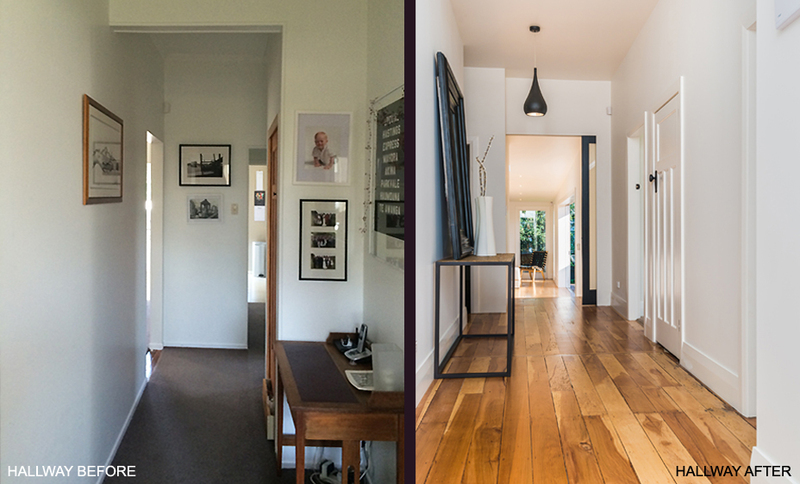 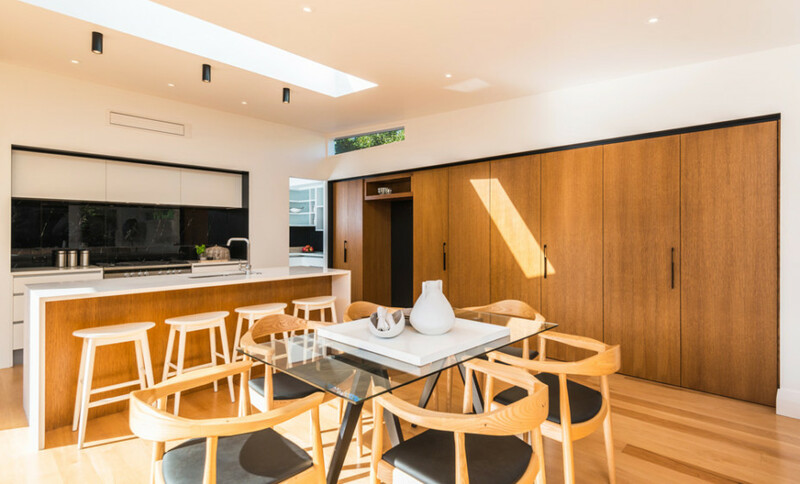 In a recent alteration and addition, Architecture Smith + Scully transformed a small bungalow into a light, spacious family home with character. 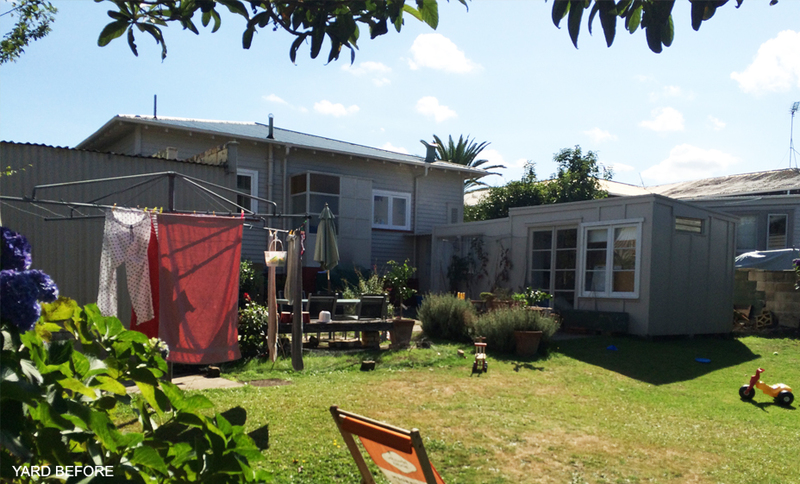 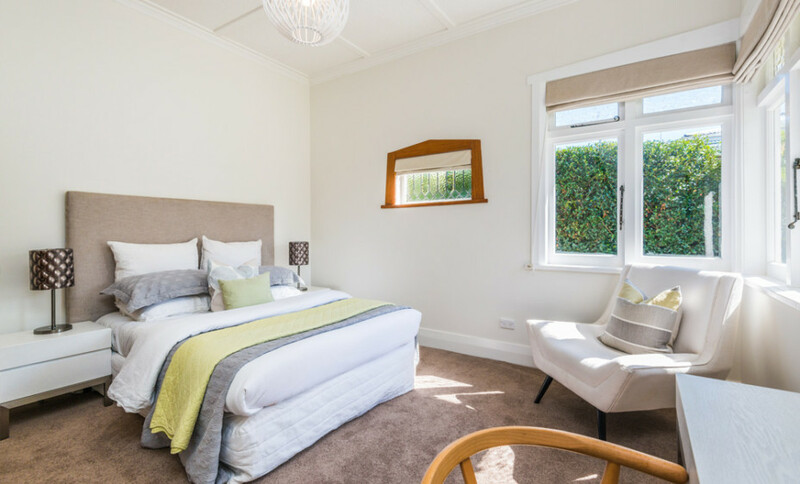 The renovated design provides easy and adaptable living options suitable for modern family life. 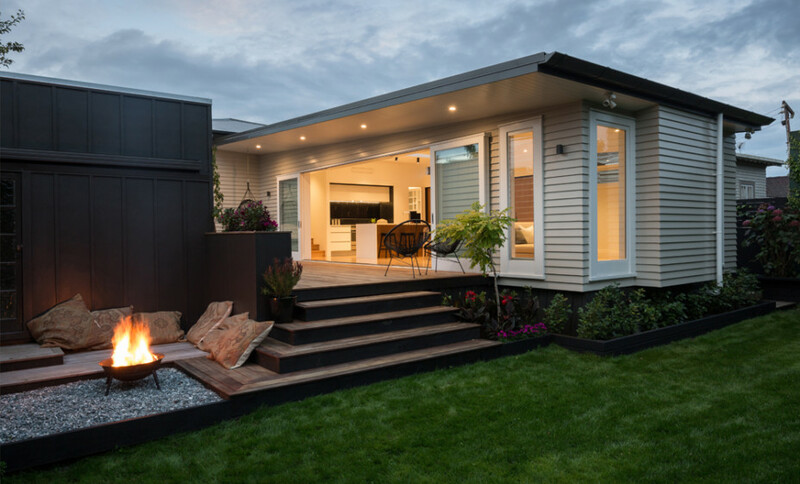 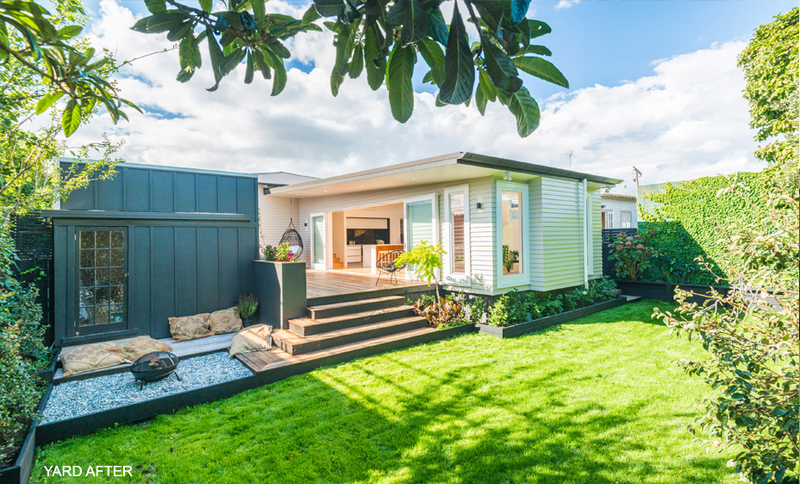 The reconfigured bungalow now has four bedrooms, two bathrooms, a small study, and a new extension containing an open plan kitchen/living/dining space. 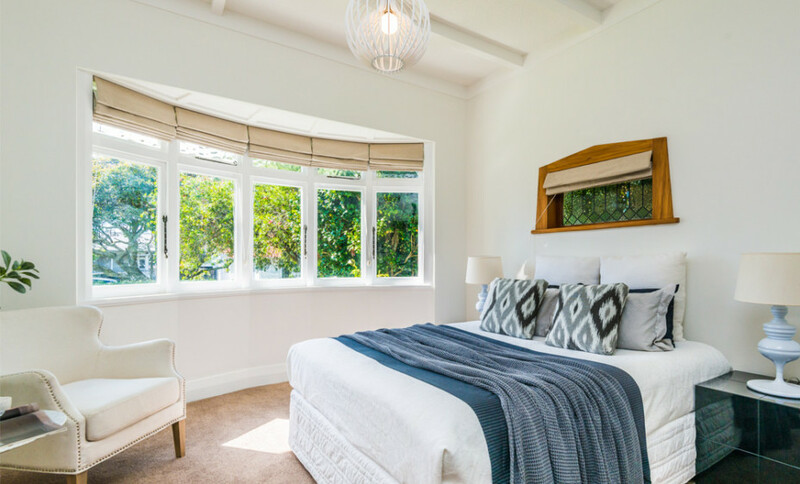 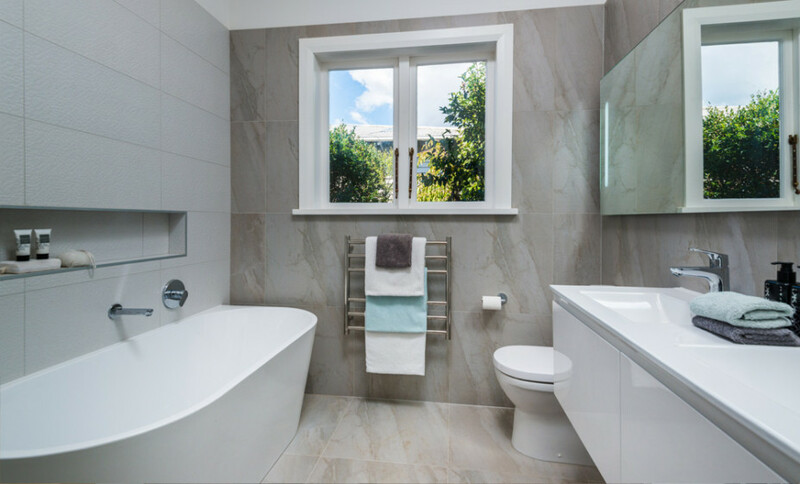 We have modernised and maximised the potential of this bungalow, while carefully restoring and reinstating heritage character features such as the original ceiling roses in the bedrooms. 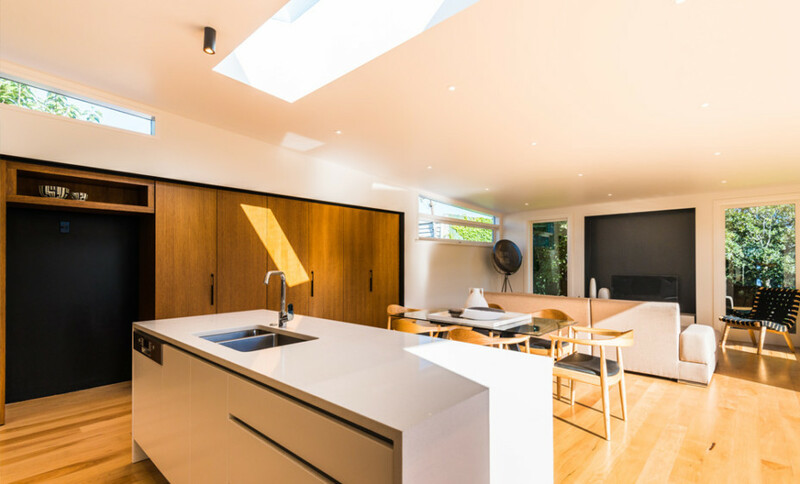 The south-facing extension employs stylish and discreet strategies for introducing natural light into the space, including clerestory windows, generous sliding doors, and a skylight, without compromising the owners’ privacy. 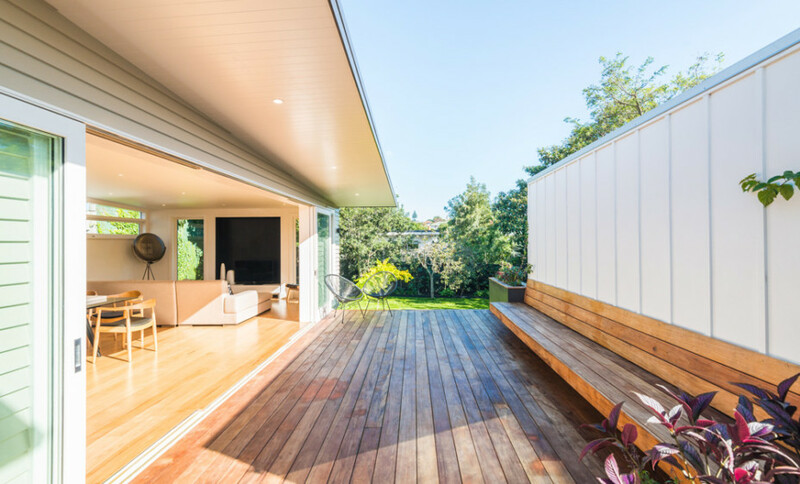 The doors opening onto the flush deck provide a generous indoor/outdoor flow. 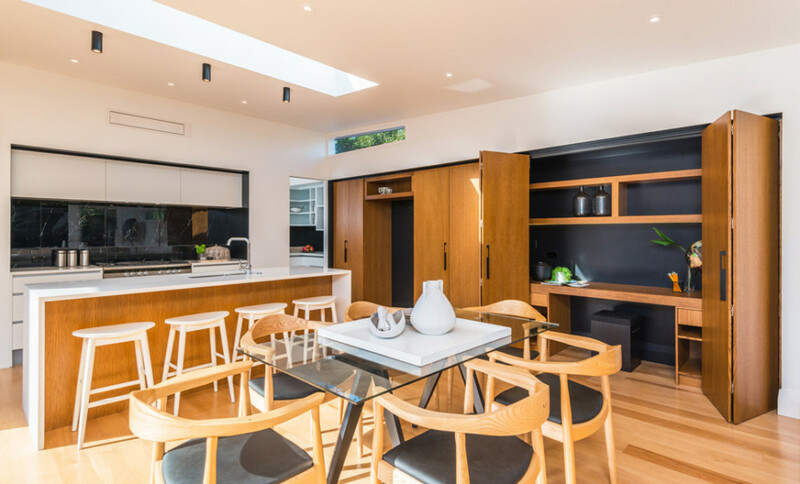 A clever work station hidden behind warm timber doors allows the living room to switch from a practical study area, to a sleek entertaining space. 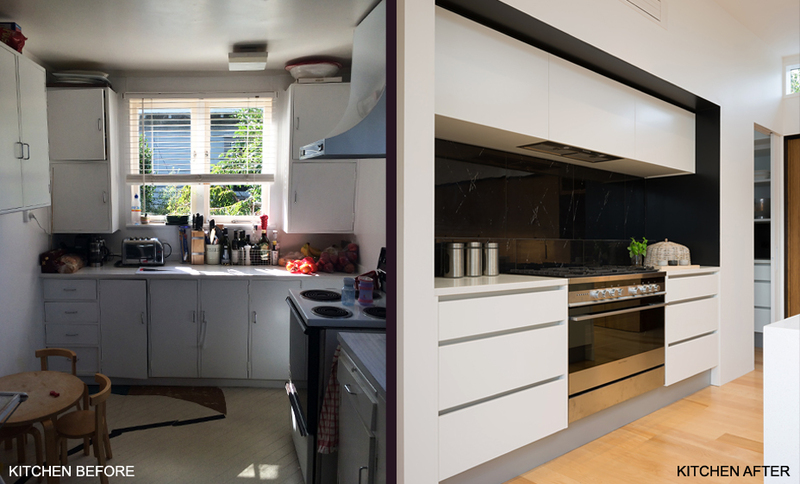 The warm timber of the cabinetry contrast against the glossy black splashback, for a welcoming yet modern aesthetic. 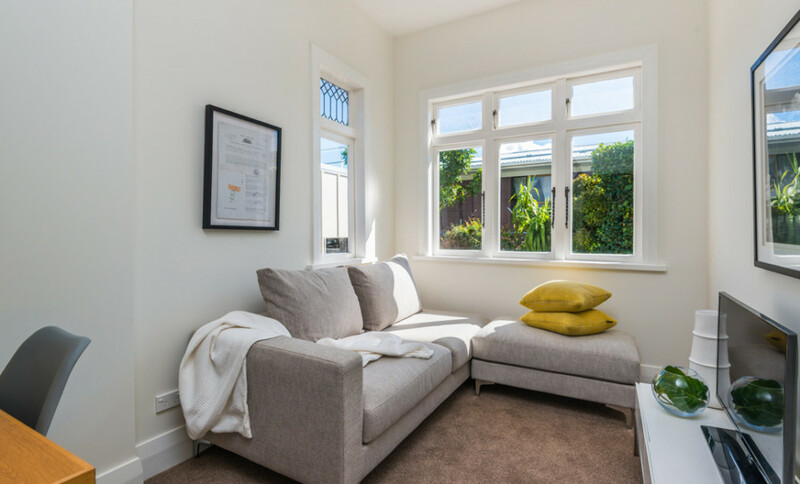 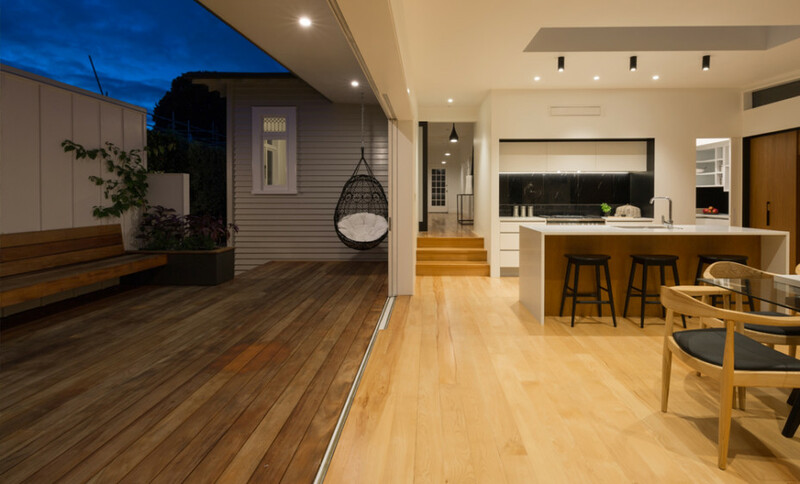 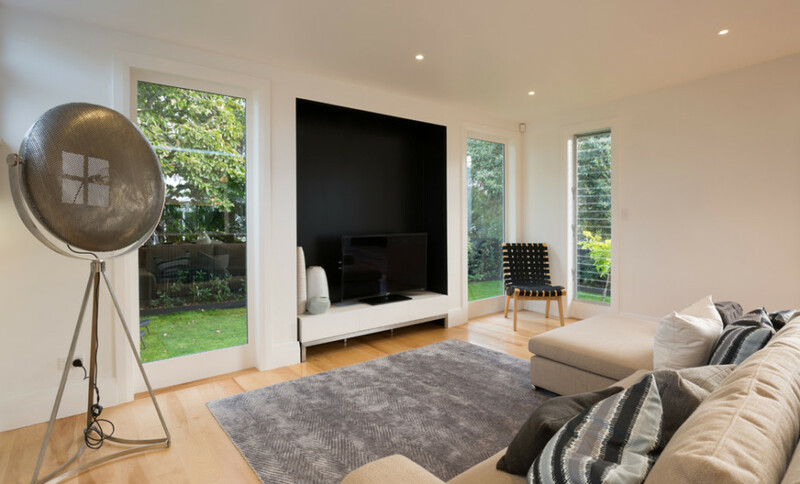 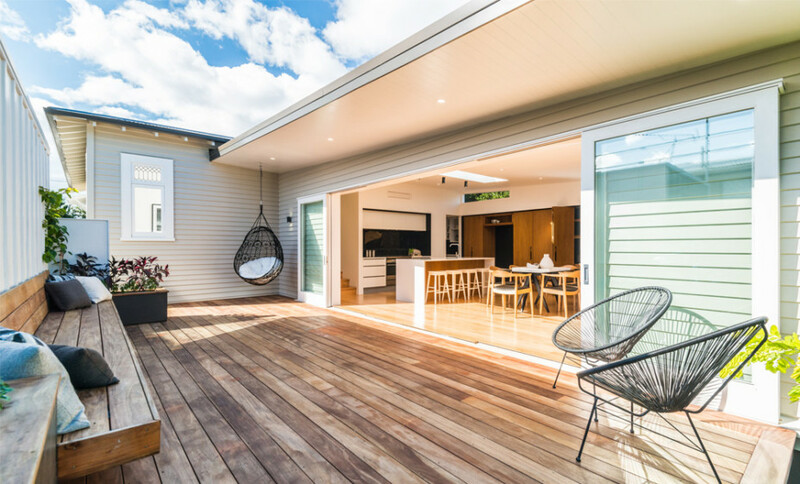 This renovation is a successful example of respecting the heritage character of an existing house while updating it to fulfil its potential as a stylish, functional and contemporary home.